You plan the party, we’ll plan the menu. Whether it’s football, basketball, or hockey, nothing kicks off the big game like an all-star lineup of tasty snacks and drinks. You’ll keep sports fanatics talking with these easy game-day recipes and ideas. Holy guacamole, are these nachos good! An expert nacho-stacking technique leaves no chip un-cheesed—so everyone gets a taste of this epic stack on a large stoneware platter. The best part? You can add whatever you want…prefer steak to chicken? You got it. Like fresh jalapeños? Use those instead of the pickled kind. Plus, homemade guac. There’s nothing better to please a crowd. This cheesy dip only takes 10 minutes to prepare and will be a crowd-pleaser at your next game-day party. 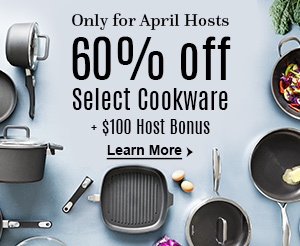 You can bake it in the oven in a stoneware serving bowl or microwave the cheese and chicken dip. No game-day spread is complete without a tray of killer bite-sized appetizers—and this recipe delivers. The combination of crispy bacon, sweet mini peppers, and a creamy, cheesy filling is a total touchdown. What is a Michelada? Well, it’s a Mexican-style beer cocktail that will seriously turn up the flavor of your favorite lagers. Our take on a Michelada combines Mexican lager with Worcestershire, soy sauce, and a hint of hot sauce, for a drink that packs a little punch. Take one sip, and you’ll be totally refreshed and in love with this trendy recipe. You’ll want to make a whole pitcher! Any time is the right time for serious, spicy chicken wings, and game day is no exception. 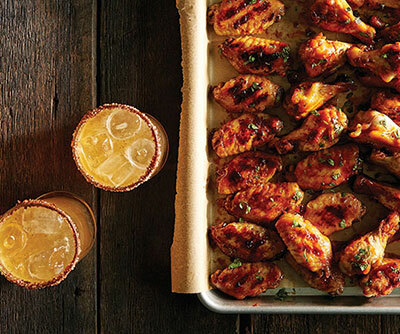 The combination of hot Sriracha, honey, and lime juice gives these wings a kick that’s all their own. These snacks are the perfect combination of spicy and sweet, and they’re so good, you’ll be licking your fingers. Keep your “team” fed with an easy, budget-friendly snack mix that’s sure to satisfy sports fans of all ages. This mix is perfect for munching, and since it’s homemade, there are fewer preservatives than you’ll get in store-bought bags. Ditch the spinach and make the artichoke the star of this dip. Topped with roasted red pepper and olives, this easy-to-make dip will impress your guests without keeping you in the kitchen too long. Plus, it cooks in a slow cooker so you can make it early in the day and keep it warm to serve throughout the night. Mozzarella-stuffed meatballs are a fun twist on the classic recipe. Make the meatballs into bite-sized pieces and serve with cocktail picks so your guests can enjoy without the mess. Bring the spicy taste of Mexican street corn to your game-day party. Instead of eating it off the cob, turn it into a dip that your guests can enjoy with tortilla chips or fresh veggie slices. Skip the over-priced salsa and make your own fresh Pico de Gallo at home. This recipe takes just a few minutes to make with the help of a hand-powered food processor. Nachos are an essential to any game-day party menu. And this veggie spread is great if you want a healthier appetizer. Customize this recipe with your favorite veggies, cheese, and toppings. Chili and game days go hand-in-hand! This hearty beef chili comes together in the pressure cooker and will win you major points with your guests. The keep warm feature lets guests serve themselves during the game. Get the best flavors of two popular game-day foods when you mix them together for one delicious recipe. This pepperoni stuffed pretzel is fun to make and will satisfy your stadium-food cravings. Cheese in the shape of a football! Is there anything better? Served with a selection of crackers, this recipe will score with party guests. Whether or not you love Brussels sprouts, you will love this dip recipe. Since the sprouts are thinly sliced, they add the perfect flavor and texture to the appetizer. This dip will be one of your new party favorites and it cooks in under 20 minutes. Cocktails are a staple of any great party. And this classic recipe is easy to serve to a crowd. It uses basic ingredients like orange peels, bourbon, and a simple syrup to create delicious flavors. Plus, this classic drink pairs well with Bacon-Wrapped Stuffed Pepper Poppers. This post has been updated since it was originally published in January 2016. Love the “Nacho” Average Snack with the zucchini! Such a great idea! The Game Day Taco Cups are the perfect appetizer! No more double dipping in the taco dip! Brilliant! I’m going to make the wing tomorrow! hello, your charming Mother-In Law here.. I was scanning through the recipes.. printed several.. will certainly give them a try.. MILE High nachos.. !!!! perfect.. and the cheese football. sounds good for Sunday dinner snacks etc.. card night here.. These recipes look so fun . Thanks for sharing. Passing them on to my daughter in law.? I can’t wait to try all of these recipes. They all sound very tasty with quick preparation time.